The Academy of Motion Picture Arts and Sciences will celebrate the career of Oscar winner Vanessa Redgrave, one of the most distinguished performers of the second half of the 20th century, with its “first-ever European tribute to an actor.” The Redgrave salute will take place on Sunday, November 13, in London. Hosted by two-time Oscar nominee David Hare (The Hours, The Reader), the event will feature special guests Meryl Streep, Ralph Fiennes, James Earl Jones, Eileen Atkins, and Redgrave's daughter Joely Richardson. Past Academy President Sid Ganis will introduce the evening. 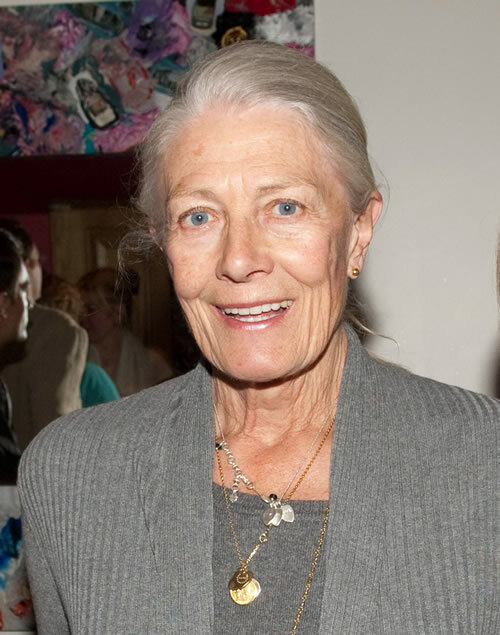 Who would have thought … Vanessa Redgrave, who has been reviled by many because of both her left-wing political stance and her support for the Palestinian cause. 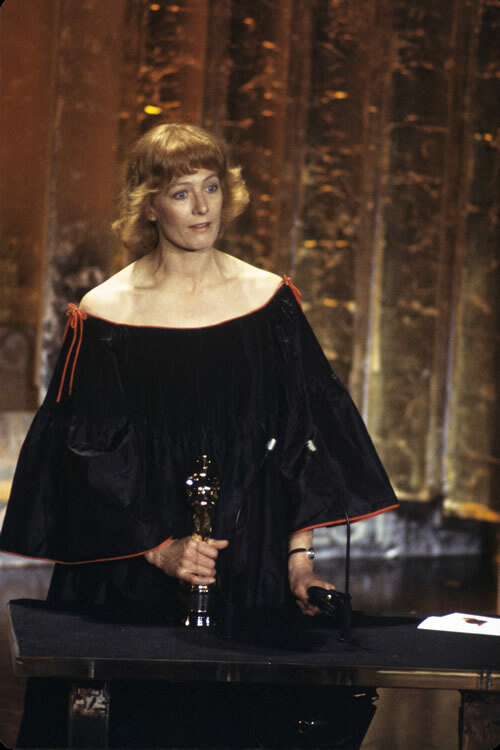 Back in March 1978, Redgrave used her Oscar victory (as Best Supporting Actress for Julia) to thank Academy members for voting for her despite pressure from “Zionist hoodlums.” Some booed her speech and later in the ceremony she was chastised by Best Screenplay presenter Paddy Chayefsky. A member of the distinguished Redgrave acting family [father Michael Redgrave, mother Rachel Kempson, brother Corin Redgrave, sister Lynn Redgrave, daughters Joely and Natasha Richardson], Vanessa rose to prominence in 1961, playing Rosalind in As You Like It with the Royal Shakespeare Company. Since then, she has made dozens of stage appearances and has appeared in more than 70 films. In addition to the Oscar she received for her supporting performance in Julia (1977), and her nominations for Morgan! (1966), Isadora (1968), Mary, Queen of Scots (1971), The Bostonians (1984) and Howards End (1992), Redgrave's honors include Olivier, Tony, Emmy, Screen Actors Guild and Cannes Film Festival awards. She stars in Anonymous, now in release, and the upcoming Coriolanus. Redgrave is also appearing in the West End stage production of Driving Miss Daisy. “An Academy Salute to Vanessa Redgrave” is an invitation-only event. Vanessa Redgrave photo: Simon Leibowitz / © A.M.P.A.S. Two-time Oscar nominee David Hare (The Hours, The Reader), will host the event, which will also feature Meryl Streep, Eileen Atkins, Redgrave's Coriolanus director and co-star Ralph Fiennes, this year's Honorary Oscar recipient James Earl Jones, and Redgrave's daughter Joely Richardson. Former Academy President Sid Ganis will introduce the evening. 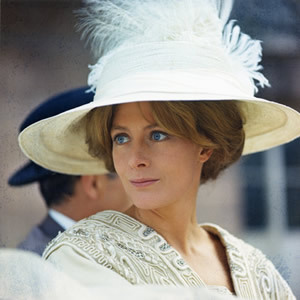 Vanessa Redgrave has been nominated for a total of six Academy Awards. Her Best Supporting Actress win for Fred Zinnemann's World War II-set drama Julia, in which Redgrave has the elusive title role, was her only win. (Meryl Streep made her feature film debut in that 1977 drama.) Though Redgrave fully deserved the honor, her victory on March 29, 1978, has become chiefly notable for the controversy surrounding it. Things got so heated come Oscar time that the pro-Palestinian Redgrave had to be brought to the awards ceremony in an ambulance, which dropped her off in the underground garage so Jewish Defense League protesters wouldn't heckle her. My dear colleagues, I thank you very much for this tribute to my work. I think Jane Fonda [as Lillian Hellman in Julia] and I have done the best work of our lives and I think this is in part due to our director, Fred Zinnemann [best remembered for From Here to Eternity and A Man for All Seasons]. And I also think it's in part because we believed and we believe in what we were expressing – two out of millions who gave their lives and were prepared to sacrifice everything in the fight against fascist and racist Nazi Germany. And I salute you and I pay tribute to you and I think you should be very proud that in the last few weeks you stood firm and have refused to be intimated by the threats of a small bunch of Zionist hoodlums whose behavior is an insult to the stature of Jews all over the world and their great and heroic record of struggle against fascism and oppression. And I salute that record and I salute all of you for having stood firm and dealt a final blow against that period when Nixon and McCarthy launched a worldwide witch-hunt against those who tried to express in their lives and their work the truth that they believed in. I salute you and I thank you and I pledge to you that I will continue to fight against anti-Semitism and fascism. Before I get on to the writing awards, there's a little matter I'd like to tidy up … at least if I expect to live with myself tomorrow morning. I would like to say, personal opinion, of course, that I'm sick and tired of people exploiting the Academy Awards for the propagation of their own personal propaganda. I would like to suggest to Miss Redgrave that her winning an Academy Award is not a pivotal moment in history, does not require a proclamation and a simple “Thank you” would have sufficed. And what a difference three decades make. Does that mean Michael Moore will be getting his salute in Flint, Michigan, in 2035? Howards End (1992), in the supporting category; the winner was Marisa Tomei for My Cousin Vinny. I've been reading your blog for a while now, and I just wanted to let you know how much I appreciate your writing and your consistant posts. I have learned a lot about the film industry from your blogs, and it is nice to be able to bring up things I have read on your blog when I am discussing the industry with my friends. Since you have kept me informed with your various posts for a while now, I wanted to extend my hand to you all and let you know about a cool film industry event that I am going to be attending pretty soon. The event is called “The Jules Verne Award Tribute Event & Screening of TRUE GRIT.” The basics of the event is that it is going to be held on November 10th, and is going to be in remembrance of John Wayne by showing the original True Grit. The event is going to be held in Los Angeles, so an easy place for most movie industry people to get to (:! If you want to get more information about the event (or to buy tickets!) visit this link: http://www.julesverne.org/index.php .